Siberia 650 Headset by SteelSeries Review | Nerd Much? Let’s face it, not everyone needs a dedicated gaming headset. The best game headsets today offer versatility. They sound incredible on any device, their microphones can be hidden, and they are designed to be seen in public. The Siberia 650 from SteelSeries fits the bill and goes beyond that. As long as you don’t have a big head, you’re looking at one of the best headsets on the market. Comfort is one of the most important aspects when it comes to a gaming headset. When picking a headset, you want something so comfortable, you almost forget you are wearing it. 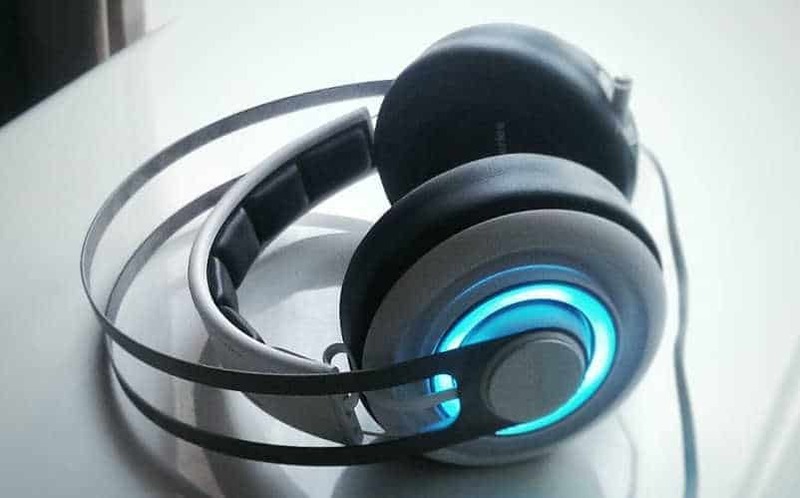 A gaming headset should be able to remain comfortable for hours at a time. The Siberia 650 achieves this with one exception, you can’t have a big head. This headset’s solution to comfort issues is to implement a suspension system to ease the weight off. With bigger heads, the suspensions are stretched out, causing even more pressure against the top of your head. It didn’t take very long for this pressure to irritate our heads. Fidgeting and adjusting can only do so much. For smaller heads, the suspension system worked beautifully. It helps distribute the weight of the headset evenly across the top of your head. If you have ever considered that you might have a big head, try to find a test pair that you can try before you buy. Aside from this one issue, the Siberia 650 has a near perfect design. The padding is made with memory foam to help provide a better seal around your ear without adding any unwanted pressure. On the headset itself are a few controls. By rotating a part of the right earpad, you can raise and lower the volume. On the left, there is a similar control to switch the retractable mic on and off. In an interesting design choice, the mic lights up when it is switched off. This seems counter-intuitive. We feel the light should symbolize that it is active, but we won’t hold this against them. The mic is retractable, ensuring that you can wear the Siberia 650 without the admittedly tacky look of a more rigid mic. SteelSeries clearly put a lot of thought into some additional features that we fear may be overlooked. 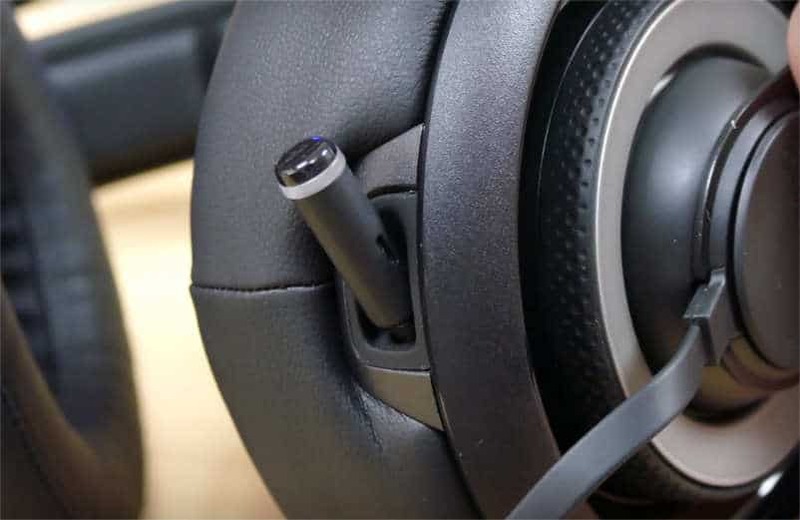 The headset features a flat, no-tangle cord. This ensures that you don’t have to worry about untangling after putting these in a backpack or desk. They also packed in a few different options for your cord. Included is a four-foot extension and a swappable 3.5mm connector. One of our favorite features is the addition of a headphone jack built right into the right earpad. Here’s a scenario. Your friend or loved one is over. You live in an apartment or have a roommate. Either way, you can’t listen to your movie at a loud volume. With this feature, you both can wear headphones by plugging in a second pair to that headphone jack. While this might go unused by many, it’s one of the forward thinking ideas that sets the Siberia 650 apart. Besides comfort and design, what we really care about is the sound quality. The Siberia 650 delivers on almost all fronts. Let’s start with our only complaint on this topic, the surround sound. We know that headsets aren’t able to offer true surround sound by design, but there are definitely some that simulate it much better than others. Sadly, SteelSeries’ headset won’t offer much directional awareness. Specifically, the headset seems to suffer when trying to simulate sounds from behind. In a game like Call of Duty, this could be the difference between life and death. With VR growing as a market, this may be something the company should work on for future headsets. It’s important to understand that this doesn’t mean the Siberia 650 sound bad. In fact, it’s quite the opposite. After making some tweaks in the SteelSeries Engine 3 software, this headset performs very well. Everything from the deepest bass to the highest shrill is produced cleanly and effectively. Better yet, you can save multiple setting combinations. There is even an option to have them switch automatically when you open up the application of your choosing. This helps ensure that the Siberia 650 sounds great whether you’re listening to music, movies, or games. Overall, you really can’t go wrong with the Siberia 650 by SteelSeries. They had created a headset that is ready for almost any scenario. The sound is rich, the mic is clear, and you can even share your audio with a friend. While the surround sound isn’t simulated perfectly, this is not nearly as big an issue as the comfort. If you have a bigger head, we urge you to try these on before you pay the $199 price tag. For everyone else looking for an all-around premiere headset, look no further. + Incredible sound, especially bass. – Uncomfortable for bigger heads. – Simulated surround sound could be better.